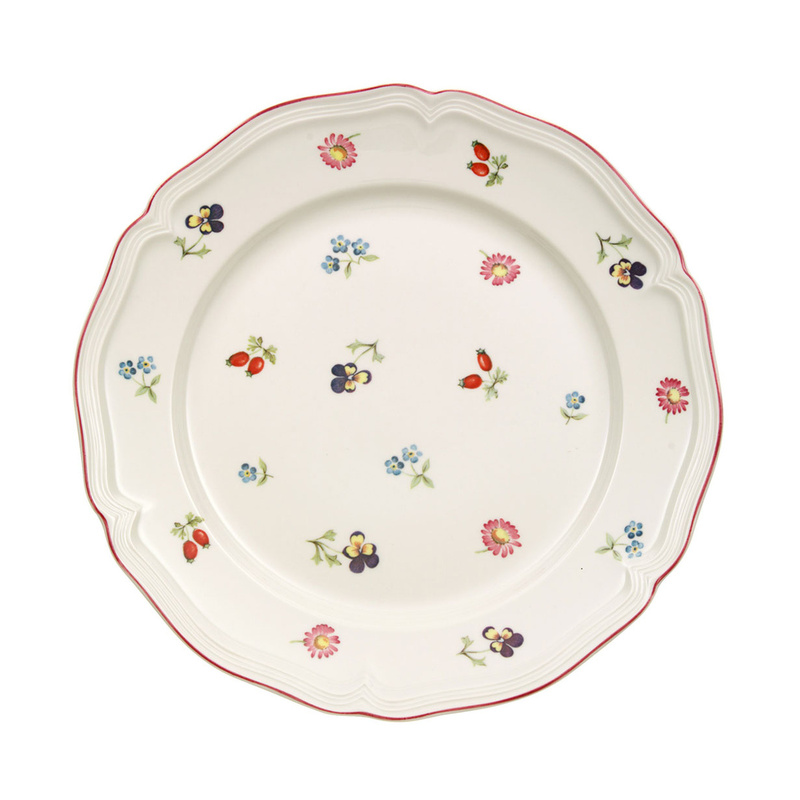 6 fruit plates Petite Fleur by Villeroy & Boch: elegance and beauty blended together. All the sophistication and splendour of the craftsmanship of porcelain are embodied here in a dish with a timeless design. These plates have a diameter of 21 cm and a weight of 0.328 kg. A beautiful floral decoration constituted of many different delicate flowers beautifully framed by a red border. At a more careful look, this article can only be admired for the great and meticulous care with which every single little flower is drawn: and all the flowers beautifully stand out on a very bright white background. A classic design but at the same time modern is achieved thanks to a reinterpretation in a modern key of each feature that belongs to this style. The fruit plate is an important part of a set that includes each plate required for the preparation of a stylish table. 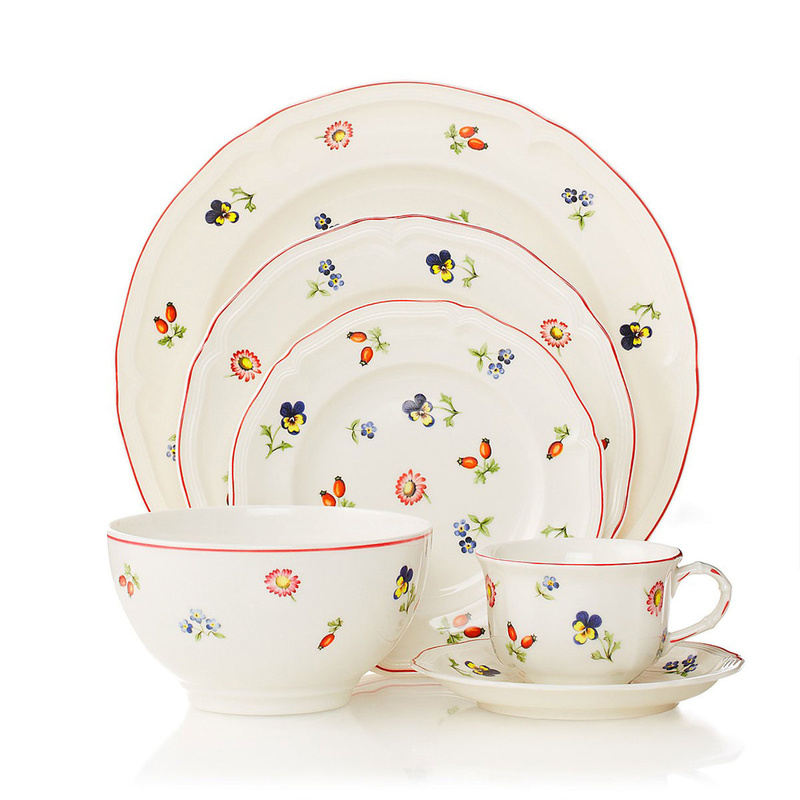 A set created in a fine premium porcelain, with an ethereal and impalpable texture that is also durable and robust. This model can be put in the microwave and cleaned in the dishwasher and even at high temperatures. It's the perfect piece to end each dinner or lunch by serving fruit in various ways according to our imagination. Surely its accurate aesthetics will add a touch of value to every table, with a pinch of colour and joy. Its unique cottage-country style perfectly fits with different types of furniture to become the real protagonists of every convivial moment. 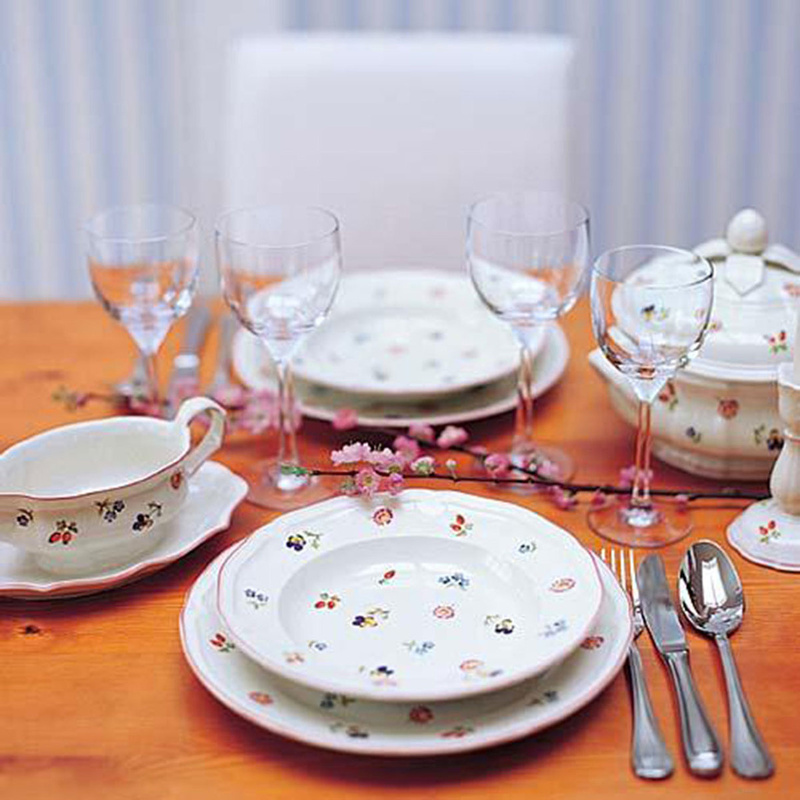 Villeroy & Boch is a renowned German brand active since 1748. A brand that deals with the creation of anything you could desire for the bathroom, the kitchen and even in the prestigious tiles sector. 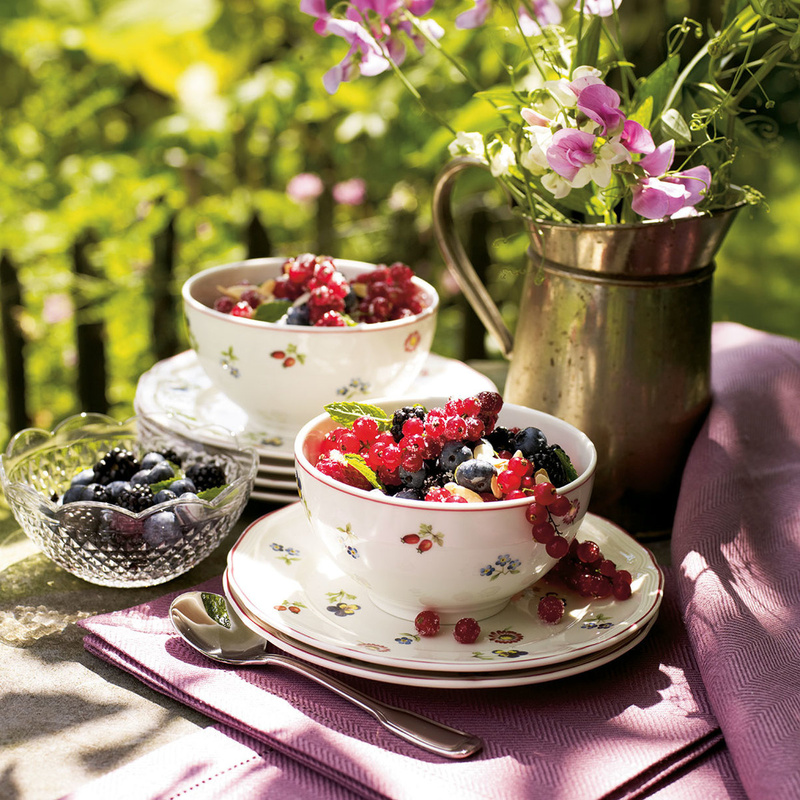 Villeroy & Boch always put on the market collections that have become a trend and that everyone would love to own. A true landmark that only creates fine products characterized by a high and excellent quality.